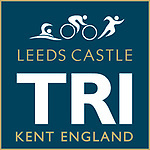 Welcome to the gallery for the 2018 Leeds Castle Sprint Tri - congratulations to all those who took part! Simply search with your race number to see and order your happy memories to keep forever! If your number was on your back for the run or you can't find your swim shots - search with 000 to view the images we couldn't identify.